Now look closely at the pictures of these two bears...besides the difference in their fur color, they have differently shaped heads and backs. Even the setting of their ears is different. 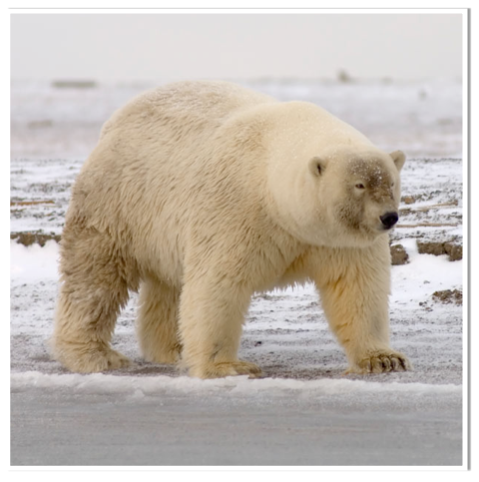 In 2006, a hunter killed a very strange-looking polar bear. It was white, with some brown in the fur and around the eyes. And it had a hump! Tests showed that this bear had a polar bear mother and a grizzly father. 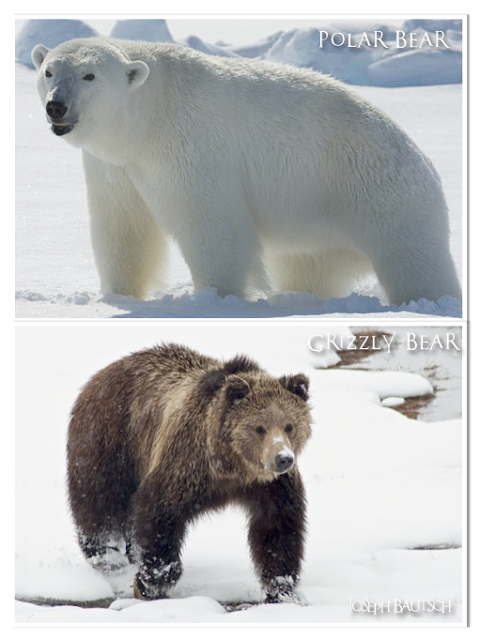 Now, in one zoo, a grizzly and a polar bear had produced offspring...but this was the first Grolar bear seen in the wild! Why Grolar bear? In hybrids, the animal that's the father gets his name in the front. So if the father's a Grizzly...Grolar bear! 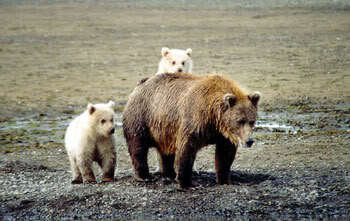 These cubs above are Pizzly bears, which, you guessed it...is the product of a Polar bear dad, Grizzly mom. So what would the offspring of a father Narwhal and mother Beluga be? Yep...a Narluga. No such thing, you say? Haha oh my God! 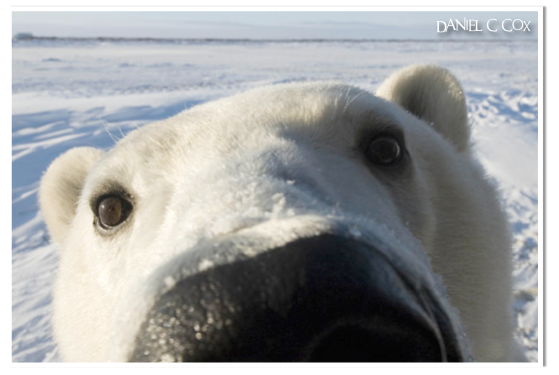 The first picture of that polar bear is just so adorable and cute. I love polar bears too, they are so cute!